Having a tooth grow out of its place, can be a traumatic experience. Firstly, you need to discuss this condition with your dentist. Your ailment can be the result of more than one thing and an orthodontist is best fit to determine if a treatment is necessary. Misplaced teeth: This can especially happen with canines. Because of genes, alignment or other reasons, these teeth won’t appear in the position you expect them to. They may appear behind your other teeth and seem to be sticking out of your gums. Hyperdontia: This happens when you have too many teeth and they start growing out anywhere in the dental arches of your jaw. These teeth are called supernumerary teeth. You can’t treat this on your own. So, we advise you not try. Your dentist needs to take X-rays to determine what the situation is and what treatment will be required. You will also need a long-term plan to prevent pain and damage to other teeth. When Does a Tooth Grow Out of Place? This is usually seen in children during the years when their permanent teeth are supposed to grow out. The reasons are numerous, but it’s often linked to hereditary conditions. You may inherit traits from your parents that result in very little space for your teeth which leads to misplacement. In more serious conditions connected to Hyperdontia it could be Cleidocranial disease or other conditions that lead to abnormal developments. You want the least amount of pain. You don’t want to feel self-conscious about how your teeth look. You don’t want the tooth to damage other teeth. Based on these considerations you and your dentist can decide how to proceed. You can decide to only use painkillers to dull the pain, if applicable. 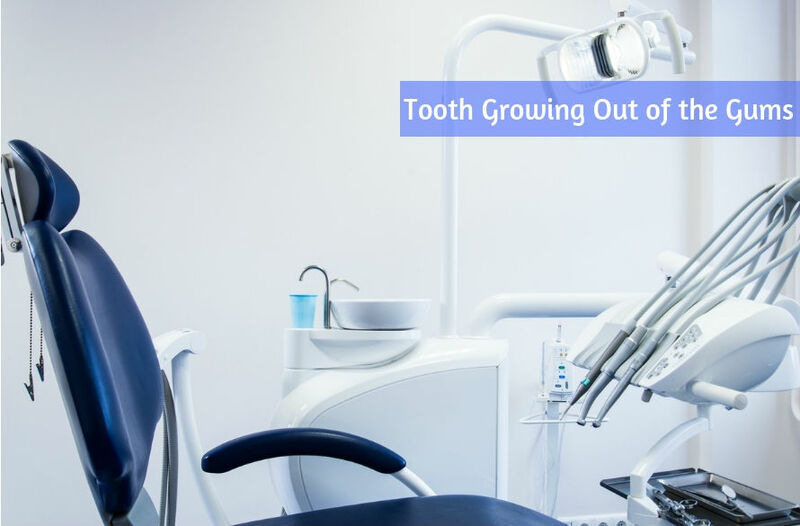 This makes sense if the growth direction of the tooth will likely end up settling in a space where it’s not bothersome or visible when you smile. However, if it’s very prominent or if the pain increases, it’s advisable to remove the teeth. You should also consider this if the teeth prevent you from having proper dental hygiene—it may block you from brushing other teeth. How many teeth appear in your gums? If they can affect other parts of your teeth or mouth. If they don’t cause problems and you’re not bothered by them there’s no reason to be concerned. For pain preventions or aesthetic reasons, you can visit your dentist, but luckily there are many ways to solve the problem. With modern dental practices feeling concerned is something of the past.